We invite you to join us for a genealogical tour to the world-famous Family History Library of the Church of Jesus Christ of Latter-Day Saints located in Salt Lake City, Utah. Please note that registration does NOT include airfare; all arrangements for travel must be made by each tour participant. 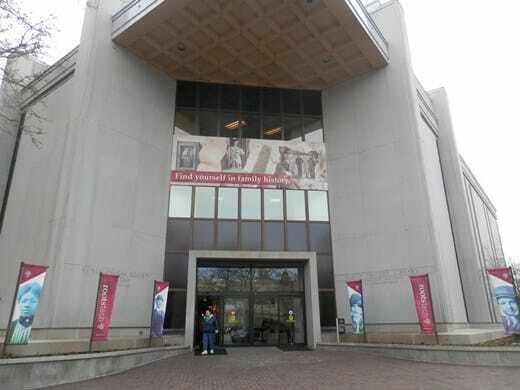 Participating in this tour will give you an opportunity to work with the largest collection of genealogical materials in the world! If you would like to spend some worthwhile research time at a wonderful facility, this is the tour for you! Jerry Paulson, Naeseth Chair for Genealogical Research & Publication at the NAGC & NL, will assist you with your research and be available for personal consultation. Jerry has extensive experience as a genealogical researcher. He has taught courses in genealogical research and Norwegian cultural topics at Madison Area Technical College, and has led numerous research tours to the Family History Library in Salt Lake City. Knowledgeable library staff and volunteers will also be available. Together with all these resources, your genealogical questions will be addressed. The Salt Lake Plaza Hotel has been chosen for the overnight accommodations because it is located next to the library. This means a very easy short walk between the two facilities. Contact Jerry Paulson at (608) 255-2224 or at gpaulson@nagcnl.org, if you would like further information. Let us know as soon as possible if you would like to take part in this tour. Enrollment is limited to 12 participants.